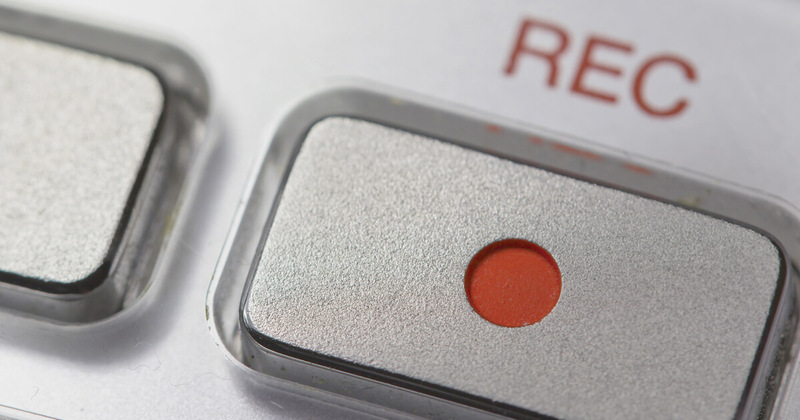 The days of customer service being call-centric are over. With the proliferation of channels like chat, email, SMS, and social media, customers are using more pathways than ever to resolve their service issues. In fact, customers have, on average, a choice of nine channels available to engage with organizations, according to Dimension Data’s 2017 Global Customer Experience Benchmarking report. The analyst firm expects the number of channels to increase to 11 this year. And as mobile devices continue down the path to ubiquity, consumers have access to all of these channels simultaneously, anywhere and at any time. The growing number of channels presents companies with a number of challenges, particularly as they look to collect and manage all of that data, make sense of it, and ensure that it is handled responsibly, but it also affords them an enormous opportunity to gain more information and insight about their customers. To get those insights, companies need to record all of their interactions, regardless of the channels where they occur. It sounds easy enough, but for many, it is still a tall order. By most estimates, roughly 90 percent of contact centers employ some form of call monitoring and recording software or have contracted with a third party to carry out those functions. While it was once an expensive proposition requiring a lot of complicated hardware, call recording is now a standard feature in most, if not all, business phone systems. Unfortunately, businesses in every industry are coming to realize that their existing contact center strategies don’t support true omnichannel customer engagement. They are hampered by outdated, legacy contact center infrastructure that handles voice channels separately from other forms of communications. The various channels operate in silos, preventing companies from linking what happens in one channel with other channels. Cost has also been a big concern, with many companies unwilling to invest in the infrastructure needed to handle more channels. But cloud-based technologies are bringing costs down, significantly reducing up-front expenditures, lead times, hardware requirements, and the amount of professional services needed to bring everything together. 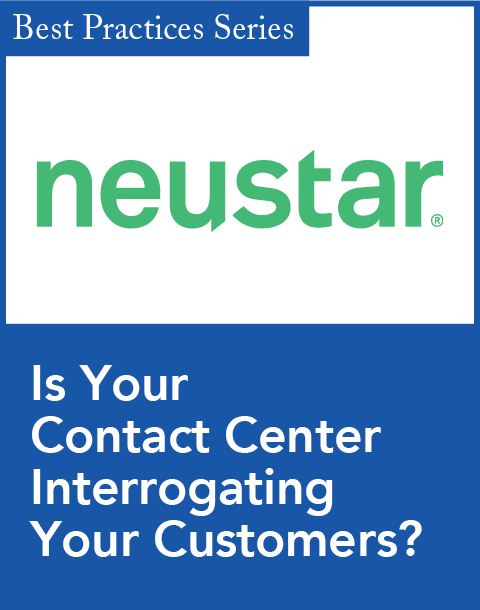 Whatever the reason companies cite for not turning to a more unified interaction recording strategy, experts agree that recording contact center interactions of all types is essential, citing benefits such as a better understanding of the complete customer journey, improving processes and agent performance, driving faster issue resolution, ensuring adherence to company guidelines, and maintaining regulatory compliance. “The primary reason most contact centers conduct call recordings is for quality assurance purposes. Recorded calls can be reviewed and analyzed for understanding what went well, what didn’t, and help determine what to change from a process-and-procedures standpoint to constantly improve the overall customer experience. As today’s consumers are expecting alternative channels to communicate with their businesses, it’s up to the contact centers to provide the right channel for the right customer,” says Curt Gooden, experience leader for technology at C3/CustomerContactChannels, a contract center outsourcer with operations in the United States, Latin America, and the Philippines. “As contact centers want to provide consistent service across all channels, it is very important to record all interaction types for quality assurance purposes and assistance in developing proper procedures for ensuring the most consistent and best possible customer experience to the end user, regardless of the channel that they choose to interact with,” he adds. Gooden also notes that in addition to improving customer experience, analytics applied to recorded interactions can deliver “a great deal of value to the company as a whole.” This analysis can, for example, help companies understand which products or services are performing well and which ones are causing customer complaints. “With the advent of customer journey analytics, we are now able to process massive amounts of interaction recordings and other data from a variety of sources to understand the holistic customer journey and make actionable recommendations to improve business,” adds Liz Osborn, vice president of product marketing at 7.ai, a company that applies artificial intelligence and machine learning to customer engagement solutions. 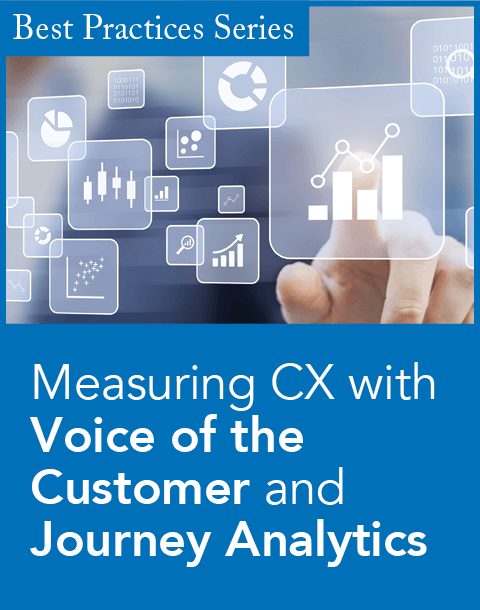 Osborn goes on to say that by examining contact center interactions across channels, including voice, interactive voice response (IVR), chat recordings, and website and mobile app visits, companies can determine ways to increase revenue and reduce customer effort. Amyx says that data science expertise, whether in-house or through a consultancy, is usually necessary. More specifically, he says data science teams should know how to source, transform, and cleanse data; apply techniques and modeling to it; and evaluate the results based on stated objectives set by the business. “Without the know-how, it’s difficult to optimize the result of your analytics,” he says. Gooden agrees. “With the constant improvement of analytical tools that are taking advantage of unstructured data analysis through the use of [artificial intelligence and machine learning], data analytics and data science programs are going to be more important across all organizations. The sooner companies start to plan for these programs and develop frameworks for how to take advantage of the tremendous amount of data insight that is available to them, the better the position they will be in,” he says. Given the vast amount of data available today and the ease with which it can be gathered and stored, data security programs must regularly be evaluated and improved, Gooden stresses. When recording interactions, companies should completely understand what data is being captured and then limit what they capture to only the information that is absolutely necessary. In addition, security should include encryption and access restrictions. Regular audits and reviews are also important not only to determine which data is retained and the performance of current security controls but also to proactively identify ways of improving those security controls, according to Gooden. “You can never be complacent in your information security programs,” he says. Before implementing systems for recording interactions, organizations should note a key difference between phone interactions and digital messaging: The latter typically preserves a history of the reaction for both the agent and the customer, whereas customers do not have access to call logs or recordings. As an added benefit, these recorded messages can give insights into the types of customer service requests coming in, the overall sentiment of customers, the performance of agents, and the amount of time needed to resolve issues, “far more than a call center can get from call recordings” alone. He recommends that any analysis should include data mining, statistics, and predictive and prescriptive analytics. Most of the leading cloud service providers, including Amazon Web Services, Microsoft, Google, and IBM, “more or less provide all of the necessary infrastructure for storing, manipulating, and analyzing heterogeneous data sets,” he points out. Gooden, meanwhile, proposes a holistic approach to interaction recording. “Regardless if the interaction recordings are from voice, chat, social, email [or other channels], they should be analyzed from a consistent approach underneath a common program framework,” he says. 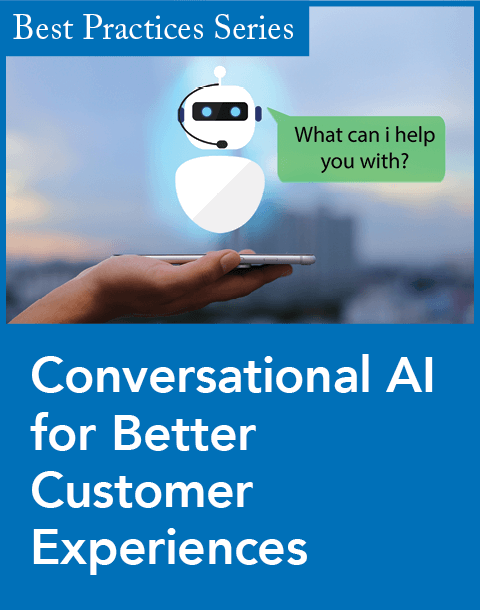 Analytical teams can then correlate data with new artificial intelligence and machine learning tools across supported channels “to get a much more thorough understanding of what’s happening in their customer base throughout all of their communication channels. This can also help companies develop strategic initiatives to improve their goods and services as well as improving their overall customer experience for their end users,” he adds. Of all the legislative changes that have taken place in the past few years, perhaps none are more relevant for contact centers than MiFID II, which went into effect earlier this year. As part of these regulations, financial firms now have to ensure that the systems used to conduct and record trading communications are fully operational at all times and that captured recordings are of high quality and usable. MiFID II’s stricter compliance assurance requirements also direct financial firms to institute proactive alerting systems to notify if a trade communication system is not working or if conversations are not being properly recorded and retained. NICE is one company offering a solution that does just that. It recently introduced the Automated Voice Trade Communication and Recording System Health Check capability as part of its NICE COMPASS solution suite. The new capability helps financial services firms provide accurate records of trading communications in accordance with MiFID II and tests all communication and recording processes and associated systems to ensure flawless performance and call recording quality. Scheduled, automated system tests can be centrally managed and remotely performed across the entire company. It also ensures that trading communications for all regulated users are being recorded with good quality audio and properly retained. The new NICE COMPASS capability even simulates calls to ensure all related components—including networks, gateways, PBXs, recording tools, audio quality, archiving, and retention—are fully functional and working together, automatically triggering alerts when problems arise. All health check results are viewable on a browser-based dashboard. Another firm, IPC, a provider of communications and networking solutions for financial markets, signed an agreement with Verba, a provider of call recording and quality management solutions for unified communications that support instant messaging, voice, and video devices, to provide MiFID II compliance solutions for IPC customers who use Skype for Business. IPC will enable customers to record, index, and archive all Skype for Business communications—including instant messaging, voice, video, application/screen sharing, file transfer, and content sharing recording—in a single unified system. The solution can be deployed on premises or in the cloud. “The ability to capture, archive and analyze various types of communications media via a truly integrated information governance solution, provided by IPC, will be a competitive advantage for financial service firms seeking to deal with regulatory requirements efficiently,” said Lionel Grosclaude, IPC’s senior vice president of risk and compliance, in a statement. Also of note is the European Union’s General Data Protection Regulation (GDPR), which is set to become enforceable this month (May 25). Designed to harmonize data privacy laws across European Union member nations and to reshape the way organizations approach data privacy, the GDPR requires companies to get explicit consent from consumers before collecting and using personal data about them. Experts agree that organizations must strictly adhere to a variety of regulations and note that compliance can become complicated, as regulations vary by industry, country, state and local laws and, in some cases, even by channel. Industry regulations typically involve consumer privacy, preventing identity theft, providing security, and requiring consent to record. Examples include the Payment Card Industry Data Security Standard (PCI DSS), which concerns security for consumer credit card data; the Health Insurance Portability and Accountability Act (HIPAA) in healthcare; and the National Automated Clearinghouse Association (NACHA) in finance. Some U.S. and international regulations also legislate around privacy, consent, and other areas that will affect interaction recording. If, for example, an organization is dealing with outbound interactions, violating the U.S. Telephone Consumer Protection Act (TCPA) can result in large fines. And even within the United States, there are “nuances depending on what state the consumer is in,” according to Osborn. Some states, such as California, require the consent of both parties to record an interaction, while others allow interactions to be recorded with the knowledge of only one of the parties. “It is crucial that each business understand and comply with each level of various regulations, which requires a good deal of research for your individual business situation,” Osborn says.